Short time operation with reduced maintenance cost. 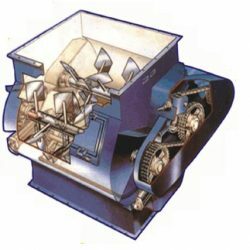 These mixers are ideally suitable to handle solid, powder, flaky materials etc. Hence it is widely used in applications such as food, animal feed, construction chemical, refractory industry and so on. Apart from hematogenous mixing it also helps in achieving the desired technical performance in the final product and it’s subsequent application. At Toshniwal, our main aim and objective is to provide our very best service and commitment to our customers all over. With sales, engineering and service centers we are ready to provide you with the quality products, quick response, and experienced support to solve your problem.